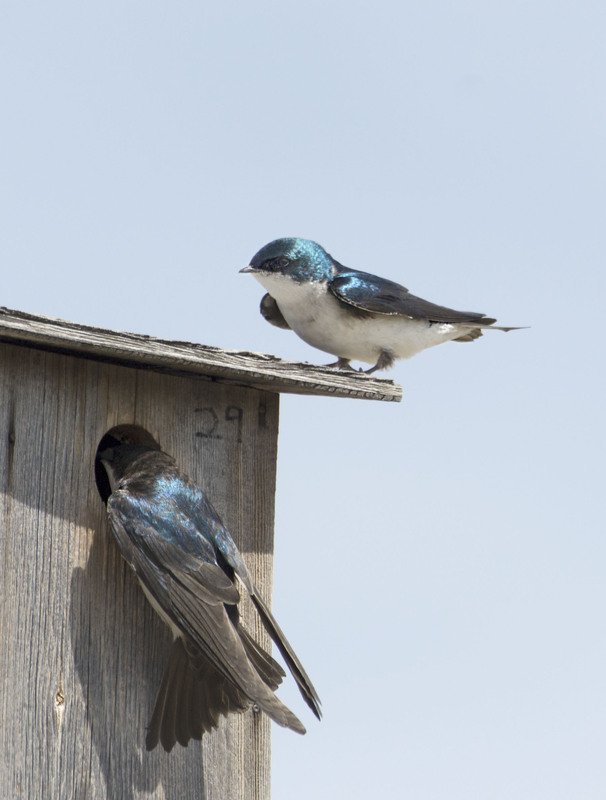 Last Sunday the wind was blowing hard but that did not deter these little Tree Swallows from spending their day looking for a suitable summer residence and it sure seemed like box 29 was high on their list of desirable homes. 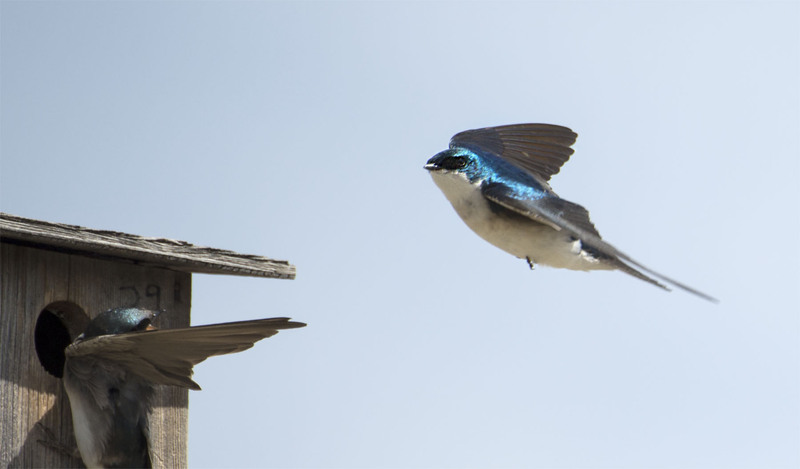 The competition was high and words of caution we flying as freely as these swallows glide through the skies. A quick resting spot on the roof was in order and acceptable to both shoppers at box 29. Photographed on a very windy morning at Hutton Lakes NWR, near Laramie WY. Swallows are amazing little birds both form and function. Hope your weekend is going well. They are quite stunning little birds! They sure are and so much fun to observe going about their business be nesting for foraging over a pond. Impossibly iridescent – so beautiful! 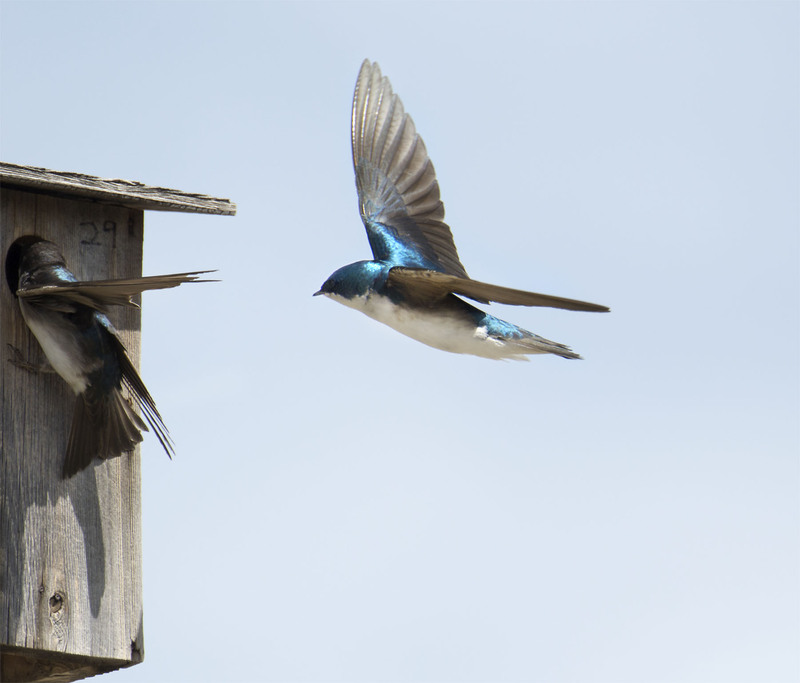 I noticed our first tree swallows two days ago. Such a pleasure to see the return of these acrobatic flyers to our northern skies. HI Eliza, it is a sure sign of spring when the swallows return to the northern skies. The Swallows tend to keep us photographers humble. 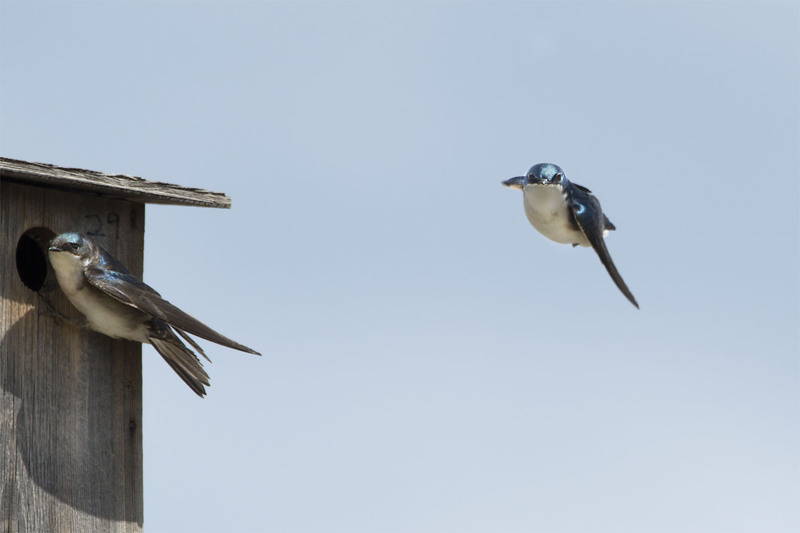 Swallows and falcons are the two that challenge us the most. Nice images and I’m sure a fun shoot. Humble indeed and bit bit dizzy at times as well. I agree and something scientists and engineers should be studying. Fabulous captures of these speedy, and beautiful, fellows! Thanks Ellen, they are indeed so much fun to observe. Your welcome, they are indeed wonderful little birds. Beauty, grace and precision all wrapped into such a small package. Beautifully captured, Mike. Love the ‘in-flight’ shots. HI and thanks. In flight shorts of birds are so much fun to attempt. We were glad that a few worked out this time. Hope your weekend is going well. I agree those colors are amazing to look at and a marvel of nature. Hope your day is going well. Hi and thanks. We appreciate the feedback. Observation seems to be the trick to get inside the mind we just need to take the time to do it.